Apple today seeded the first beta of an upcoming tvOS 10.1.1 update to developers for testing purposes, just days after releasing the tvOS 10.1 update and more than a month after launching tvOS 10. Designed for the fourth-generation Apple TV, the tvOS 10.1.1 beta can be obtained by connecting the Apple TV to a computer with a USB-C to USB-A cable, downloading and installing the software from a registered developer account via iTunes or Apple Configurator. Once a beta profile has been installed on the device through iTunes, new beta updates will be available over the air. It's not yet known what new features or changes might be included in the new tvOS beta, but as a 10.1.x update, it's likely to be minor in scale, introducing bug fixes and other performance enhancements. 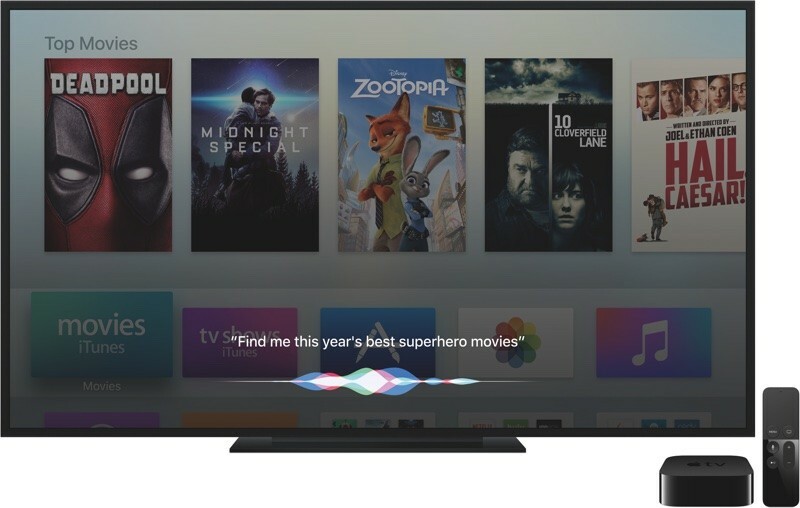 tvOS 10.1.1 follows tvOS 10.1, a major update that introduced the new "TV" app, which serves as an Apple-designed television guide and TV watching hub. Release the first beta of the new OS right after the "final" release. That's normal practice in development. During the production of a software update, you get feature creep, things that you realize you want to get done but weren't in the original mandate. So you focus on releasing what you were supposed to and pick up on those new items once you're done. Otherwise, nothing would ever be released. Wasn't normal for Apple until quite recently. After a "final release", it usually took some time before new betas would emerge. I have zero problems with it, it's just an observation. How recent is "recently"? I remember OSX releases way back when they were still named after cats having new betas right after the release. The difference is that betas are far more publicized these days. If you were a developer back then, you might remember that. The public wasn't very privy to point.point.point betas.